Today was a relatively easy walk through woodlands with a few steep climbs, alongside from village to village until I found myself walking excitedly downhill to Lausanne. It was cloudy most of the day. The sun looked like a small silver moon. I still managed to get sunburnt. 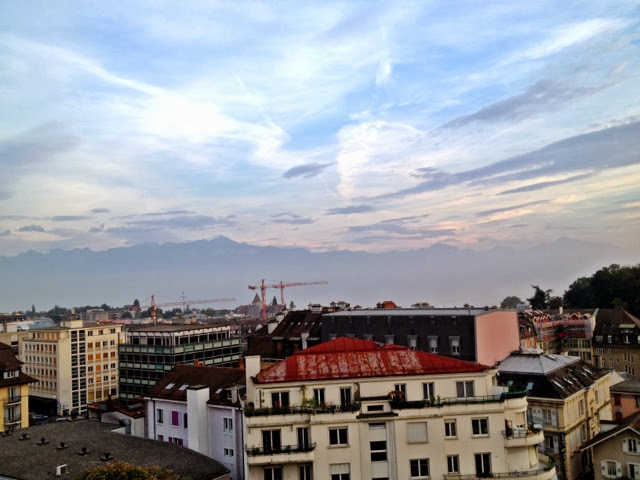 Lausanne is beautiful but feels too big for me after a month spent largely in small villages and most of my time spent alone in the middle of the countryside. I had thought to stay here for my rest day but the reality is it is expensive and if I stay here, I won't rest, I will end up walking everywhere to look at everything. I have walked for 16 days without a break and only 4 of those were under 30 kilometres. My feet are really sore and need a break. I have spent a lot of time in the last few days on bitumen and concrete which is really hard under foot and I have noticed how much firmer the sole of Red Beasts Mk 2 are compared to the old ones. Tonight no amount of massaging is getting rid of the soreness. They feel swollen and bruised. 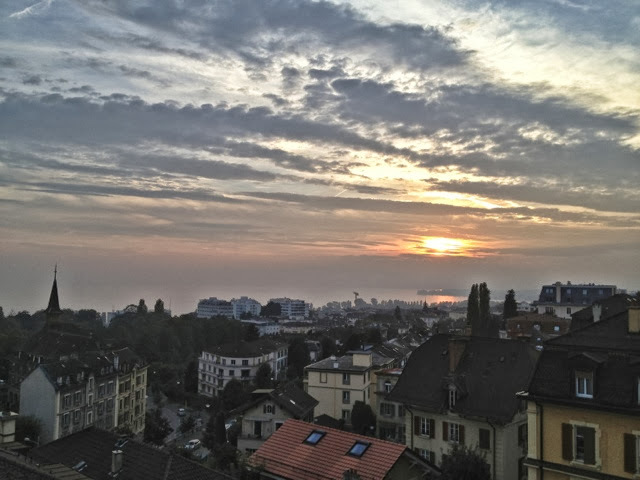 I have booked myself into a hotel for 2 nights In Vevey which means just a 26 kilometre walk tomorrow then I will have a whole day of rest in which I really hope to put my feet up and let them and my legs o nothing or at least very little and recover from the last two weeks and prepare for crossing the Alps. I am gutsy and determined but I am a little nervous. I was reading the blog of a pilgrim who walked the Via Francigena last year and there is a section from Martigny to Orsieres that is really challenging, well her guidebooks described it as treacherous. Mine describes it as not liked by some walkers. I looked at her photos and there are some quite steep and narrow descents and I am worried about how I will manage that with The Devil on my back and my whinging knees. Her and her friend sent their packs ahead by taxi and this may be something I need to consider. Just not right now. The only thing that matters right now is a good night's sleep. View from my window. Sunset over Lake Geneva. And that purple shade on the horizon, that's the Alps. I laugh a little hysterically every time I look at them. Soon I will he crossing them by foot!